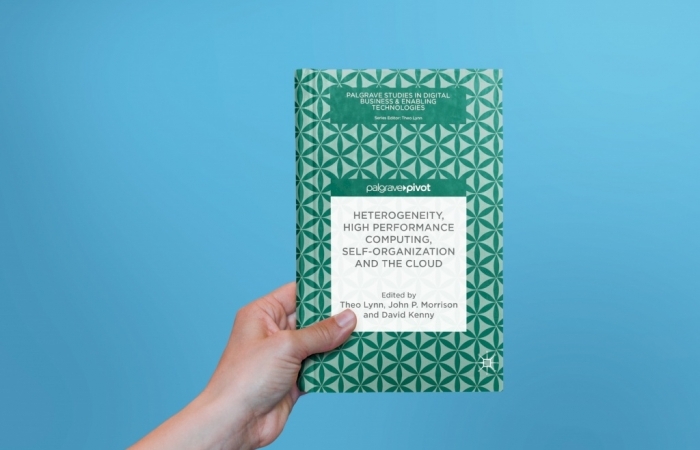 IC4 is delighted to announce the publication of the CloudLightning Open Access book on heterogeneity, high performance computing, self-organization and the cloud. The book addresses the most recent developments in cloud computing such as HPC in the Cloud, heterogeneous cloud, self-organisation and self-management, and discusses the business implications of cloud computing adoption. Establishing the need for a new architecture for cloud computing, it discusses a novel cloud management and delivery architecture based on the principles of self-organisation and self-management. This focus shifts the deployment and optimisation effort from the consumer to the software stack running on the cloud infrastructure. It also outlines validation challenges and introduces a novel generalised extensible simulation framework to illustrate the effectiveness, performance and scalability of self-organising and self-managing delivery models on hyperscale cloud infrastructures. It concludes with a number of potential use cases for self-organising, self-managing clouds and the impact on those businesses. Given the significant role that HPC plays in scientific advancement and the increasing dominance of cloud computing as a global enterprise computing paradigm, this book has value to university educators and researchers, industry, and policy makers. This book is the first in the series, “Advances in Digital Business and Enabling Technologies”, which aims to contribute to multi-disciplinary research on digital business and enabling technologies, such as cloud computing, social media, big data analytics, mobile technologies, and the Internet of Things, in Europe. This multi-disciplinary series will provide a comprehensive and coherent account of cloud computing, social media, mobile, big data, and other enabling technologies that are transforming how society operates and how people interact with each other. Each publication in the series will focus on a discrete but critical topic within business and computer science, covering existing research alongside cutting edge ideas. Volumes will be written by field experts on topics such as cloud migration, measuring the business value of the cloud, trust and data protection, fintech, and the Internet of Things. Each book has global reach and is relevant to faculty, researchers and students in digital business and computer science with an interest in the decisions and enabling technologies shaping society. For more information about the series, please visit https://link.springer.com/bookseries/16004. Thinking of research suggestions ? Submit any cloud computing idea that you think we can research. The Irish Centre for Cloud Computing and Commerce (IC4) is multi-institutional research centre located at Dublin City University. Sign up for our latest news and events information.